Of course I have high blood pressure, there’s people like Tony Blair walking free in the world! Common questions such as ‘don’t you have high blood pressure’ usually make me laugh but this mornings well-earned lay-in has been interrupted after deciding to look into what the Middle East Peace envoy and war criminal Tony Blair has been up to as the death toll in Palestine passes 1,000. Blair’s wife, Cherie, celebrated her 60th birthday this week and so he hosted a £50k birthday party for her with special guests such as Bobby Davro providing the entertainment. Whilst I am still fresh off the back of my Richard Feynman rant earlier this week I do not know if I particularly begrudge ben this war criminal spending a birthday with his wife, especially one as significant as 60 (it may be his last before he ends up in the Hague?) but I do question why this megalomaniac is busy making speeches in London about progress and leadership, 20 years on from taking the New Labour hot seat whilst Gaza burns and children die? He was allegedly crowned Middle East Peace envoy due to his exemplification of peace during his tenure as UK Prime Minister which is lamentable considering his religious doctrine is responsible for the destabilisation of the world that we are seeing today, his modern-day crusade with George W. Bush. Many would call in to question his validity of such a position, some have called for his sacking after finding his work in the are negligible to date. We should also remind ourselves that this peace envoy is the same man crying out for intervention recently in Syria and who continues to state that the massacre that is unfolding in Gaza is justified as Israel has the right to defend itself. 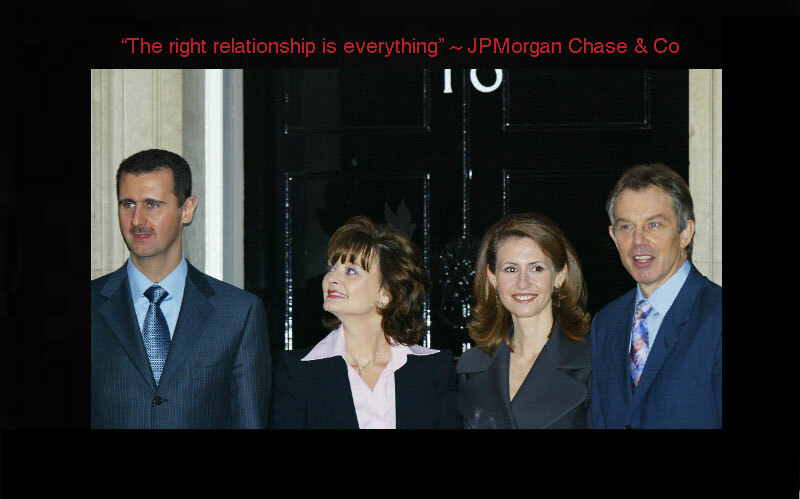 A closer look at Blair’s relationships makes for sickening reading. He has long been a support of people that we now call despots, such as Gaddafi and Assad but evidently at those times they were bastards but they were ‘our’ bastards so that was okay. It also appears that Blair, during his time as peace envoy, has been instrumental in brokering deals in Palestine for large corporations. 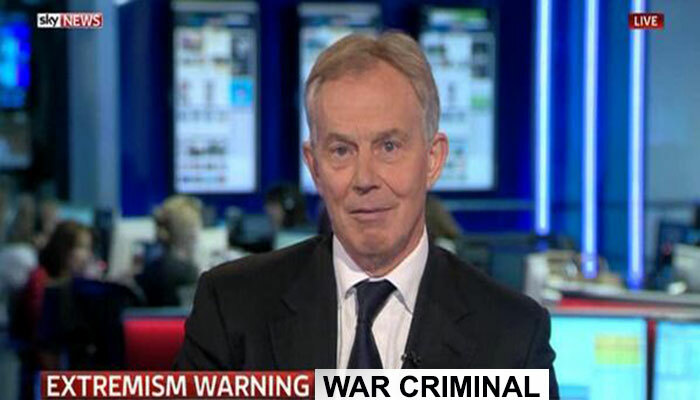 According to Channel 4’s Despatches, Blair helped persuade the Israeli government to open up radio frequencies so that cell phone company Wataniya Mobile could operate in the West Bank, as well as a large development for a gas field off the coast of Gaza which is run by the British Gas Group. 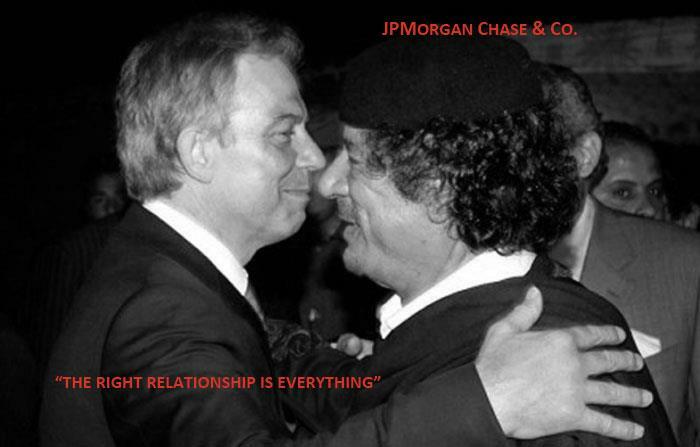 Both these contracts are for British Gas Group and Wataniya Mobile are major clients of Blair’s financiers, JP Morgan. It just goes to show that their saying is right, the right relationship is everything, you couldn’t make it up! 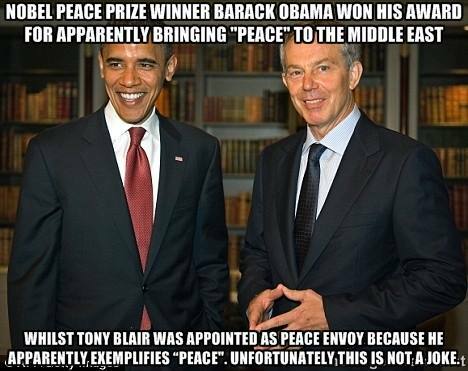 Tony Blair’s only interest in the Middle East is what he can squeeze out of it financially for both himself and his pay masters, that’s all his crusades have ever been about. In the meantime children continue to pay the ultimate price as the Israeli Defence Force bombs rain down on the open air prison that is Gaza and the West sits by idly watching. Previous postIn truth, it is a Palestinian Holocaust, not a conflict. Next postAre we all living under a type of Stockholm Syndrome?